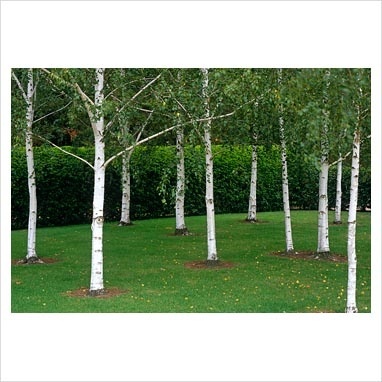 Often planted in groups this is an attractive medium tree for any garden. Leaves are deep shiny green in Summer turning golden in Autumn. The trunk turns white with age providing a wonderful Winter feature when the branches are bare. Will tolerate both dry and wet soils but not for extended periods of time. Tolerates both wet and dry soils but not for extended periods of time. Only prune if required and only in Summer or Autumn. 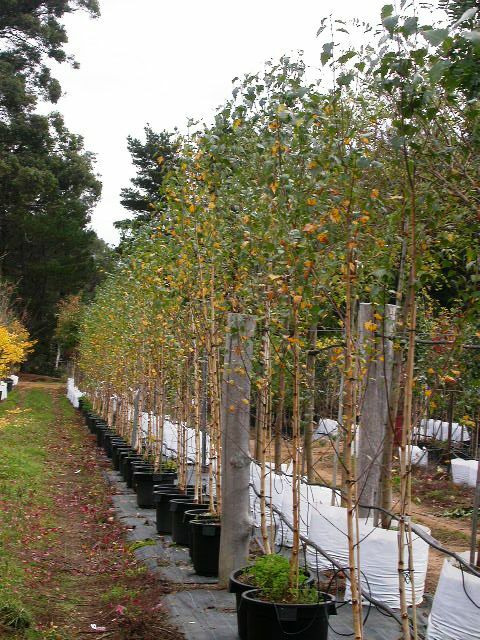 Pruning in Winter or Spring could result in excessive bleeding.